The cuckoos that captured hearts are on their way back to Beijing. As spring turns to summer in China’s capital, a few curious eyes watch GPS markers on maps of East Africa, tracking a few tiny, insignificant cuckoos as they make their way back to the Middle Kingdom. The voyage ahead of these two little brood parasites follows an inspiring, thought-provoking journey halfway around the planet that garnered media attention around the globe. “They’re in Kenya on their way back, having spent the winter in Mozambique,” Terry Townshend of Birding Beijing told The Diplomat. 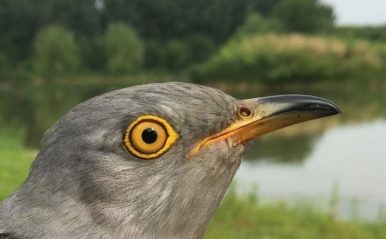 “We expect them to make the sea crossing to India in the next two weeks and arrive in Beijing in the last week of May.” Terry speaks of the remaining cuckoos of the Beijing Cuckoo Project. The path from China to Africa. Named by the students of Dulwich International School in Beijing, the Beijing cuckoo project began last year with Meng Zhi Juan, Hope, Zigui, Skybomb Bolt, and the venerated Flappy McFlapperson. At the time no one was quite sure where the common Beijing cuckoo wintered, but few thought it was as far afield as Kenya. Followed on Twitter and in Chinese classrooms, birds weighing only 100 grams would fly quite far to escape the winter, defying expectations and getting attention from the New York Times and the Times of India – and of course Flappy McFlapperson was a hit on Reddit. Hope and Zigui died long before the crossing, and only Skybomb Bolt, Flappy McFlapperson, and Meng Zhi Juan would make it to Africa. Some have crossed more than 20 national borders. 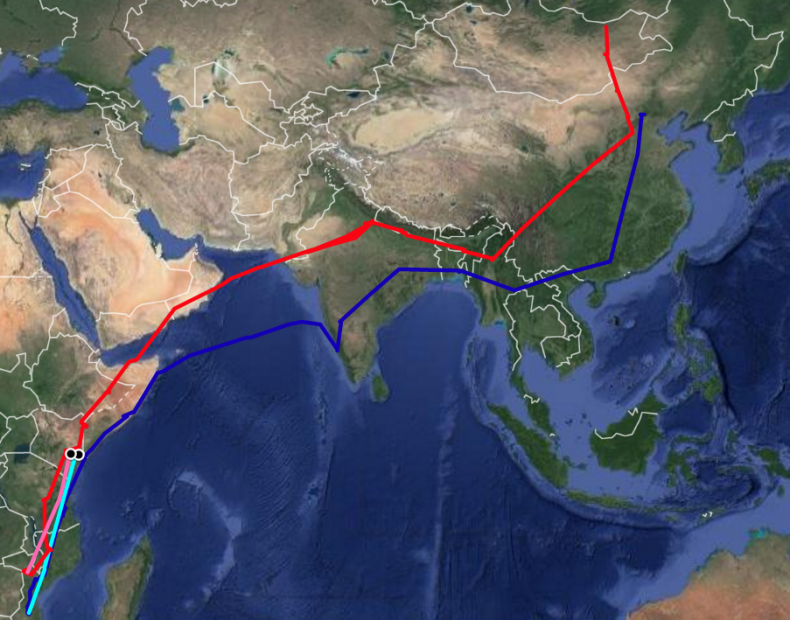 The cuckoo known as Skybomb Bolt had the most impressive journey – a tiny little bird flying 3,700 kilometers non-stop across the Arabian Sea. A photo of Skybomb Bolt from Birding Beijing. 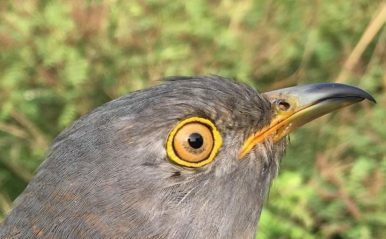 Sadly, Skybomb Bolt won’t be leaving Mozambique; Chris Hewson of the British Trust for Ornithology made the final call in early February, and Birding Beijing stated that they were “in awe of this amazing cuckoo and we celebrate his life. Thank you, Skybomb Bolt. You’ll be missed.” Now, only Flappy McFlapperson and Meng Zhi Juan remain, and they are making their way home. “We expect them to retrace their steps but it’s possible they may take a different route,” Townshend says. “Winds are good at this season for the sea crossing with moderate to strong southwesterly winds, which should assist them.” At last count, both still have around 10,000 kilometers to go. The project, quite apart from learning new facts about the winter habits of the cuckoo, also provided children in Beijing schools reasons to appreciate what little wildlife can be found in the barren, smoggy wasteland of Beijing. In fact, even though Beijing isn’t the most picturesque place to capture photos of warblers and raptors in the wild, more than 100 species of bird can be seen in a day in Beijing’s autumn, according to Townshend, who has claimed that more than 470 species have been spotted in the capital. At last check the remaining cuckoos are less than a hundred kilometers away from one another in Kenya. The only survivors of the original cuckoo project — Meng Zhi Juan and Flappy McFlapperson — are preparing for their long journey back to Beijing.